Happy Friday! I hope you've had a great week! My week has been pretty good and pretty productive (in case you missed it, I shared my tips for a more productive day). We have our last dance competition of the season this weekend and I'm looking forward to seeing my girls perform. They have learned so much this dance season and so have I! I even learned how to apply fake eyelashes for the first time ever... just not to myself, to my now nine year old. Maybe one day I'll try them too! Today, I'm sharing my weekly roundup of what I'm currently loving. I already own and love a few of these items in today's roundup! 1. H E A D B A N D | I'm still loving headbands! White tee, jeans, sandals, and a polka dot headband to complete the look. This one is super budget friendly so it's a great way to give this style a try! 2. E A R R I N G S | I bought these earrings back in the fall and they are still one of my most worn pairs of earrings this spring. They are so lightweight and comfortable to wear! 3. T O P | I absolutely love wrap tops. I just find them to be incredibly flattering, especially in black. I would style this affordable top with high waisted denim and the heels from this roundup! Also, through tomorrow, Target is offering an extra 5% online orders when you use your Red Card! 4. 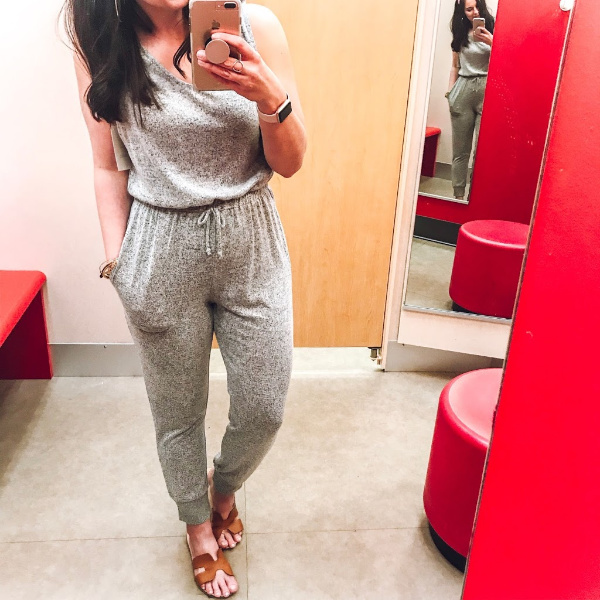 J U M P S U I T | I spotted this super soft jumpsuit in the lounge wear department and immediately thought that I could make this work in an actually outfit not just as pajamas. 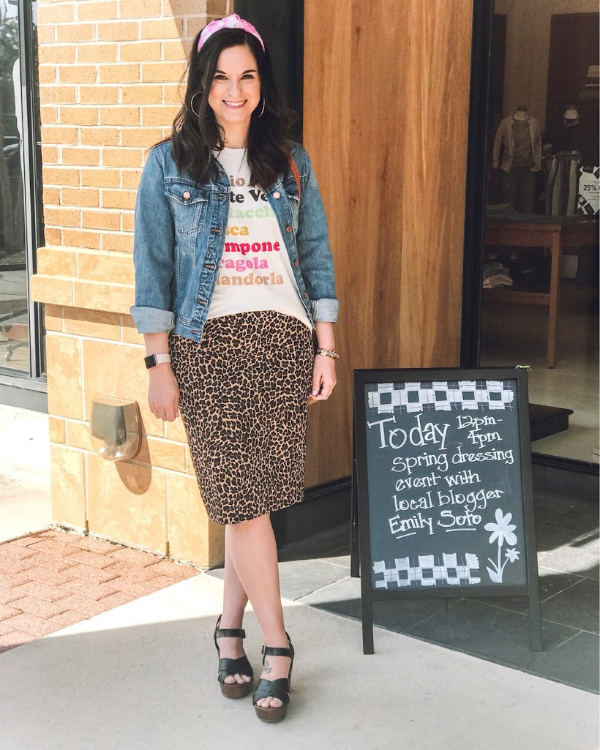 I bought it to style with sandals and a denim jacket for a comfy, transitional spring style. The fit is very generous so be sure to size down one size. I'm wearing an extra small in the picture below. 5. D R E S S | How darling is this dress?! I am a big fan of pink gingham and this sweet little dress is just calling my name. It would be so good for family pictures (hello, tulip field) or Mother's Day or really any day that you want to feel beautiful! 6. S L I D E S | I got these slides in the mail this week and they are winners! I had a similar pair years ago that I just completely wore out. I have been looking for a new pair of slides to replace them and I finally found them. This pair is such great quality for a great price! I'm a true 8.5 and I went with the size 9 for the best fit. 7. N E C K L A C E | I am loving all of the shell jewelry that I have been seeing for this spring and summer. This seashell locket necklace is too cute! Total Little Mermaid vibes. I love it! 8. H E E L S | I already own these heels in black and I wore them for over four hours straight (standing) this past Saturday at my J. Crew event. They didn't hurt my feet at all! I love the platform style that makes them easy to walk in. The fit is true to size.